Fourteen-year-old Augum and friends Bridget and Leera dream of becoming warlocks. But with a kingdom in total chaos, it will take courage, sacrifice, and an iron will to make that dream come true. The lord of the legion, a vicious tyrant, has overthrown the king in a relentless and murderous quest for seven mythic artifacts—and Augum's mentor, the legendary Anna Atticus Stone, possesses one. While Augum struggles with demons from a painful childhood, a betrayal puts him, his friends, and his mentor through a harrowing ordeal that threatens to destroy them all ... and change the course of history. 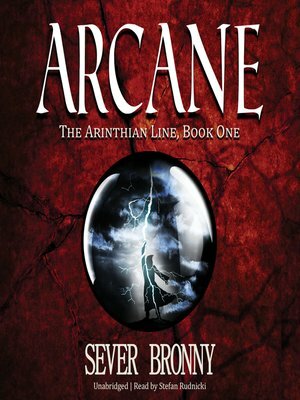 Arcane, the debut novel in the fantasy adventure series the Arinthian Line, follows three friends as they navigate an ancient, abandoned castle, endure grueling training, challenge old mysteries, and learn that a bond forged in tragedy might just be the only thing to save them from a ruthless enemy.